DFS Group, the world’s leading luxury travel retailer, proudly unveiled together the exciting expansion of City of Dreams’ retail area, which is managed and operated by T Galleria by DFS. 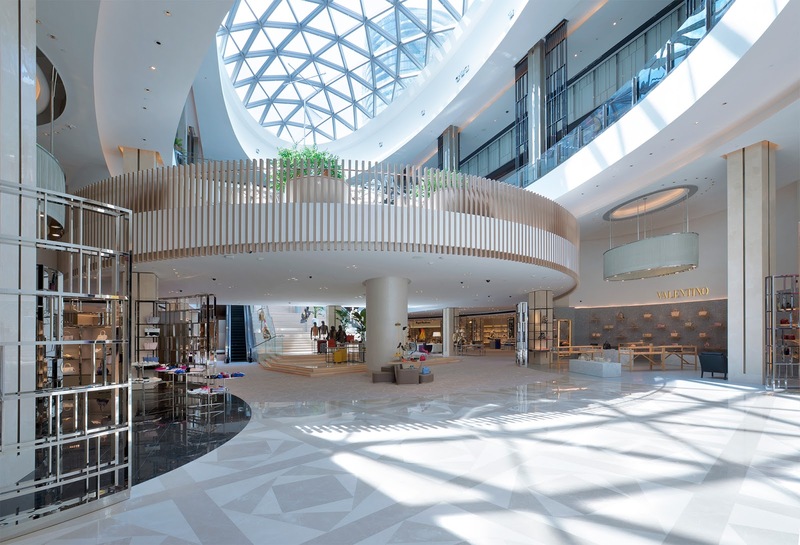 In addition to being three times larger than the former retail space, the new shopping precinct represents a strategically designed, exclusive and eye-opening lifestyle luxury shopping experience in the heart of Macau. For fashion-lovers, the T Galleria by DFS, City of Dreams experience is elevated with the June opening of 31 new fashion and accessories brands, including Louis Vuitton, Dior, Prada, Miu Miu and Fendi. Photo courtesy of DFS Group. Introducing a stunningly edgy department-store style concept to Macau, City of Dreams and DFS have created a luxurious, contemporary and inviting atmosphere within City of Dreams’ expanded retail area, headlining the T Galleria by DFS brand. Delightful and contemporary, the expansion is designed and built using elements of glass, marble and steel combined with warm wood accents. The setting is intended to be both dramatic and intimate, encouraging visitors to relax, unwind and indulge their taste for shopping and leisure. The expanded retail space links dining areas, casinos, retail stores, entertainment attractions and hotels, leading visitors on an engaging journey of some of the best retail and leisure experiences in Macau. 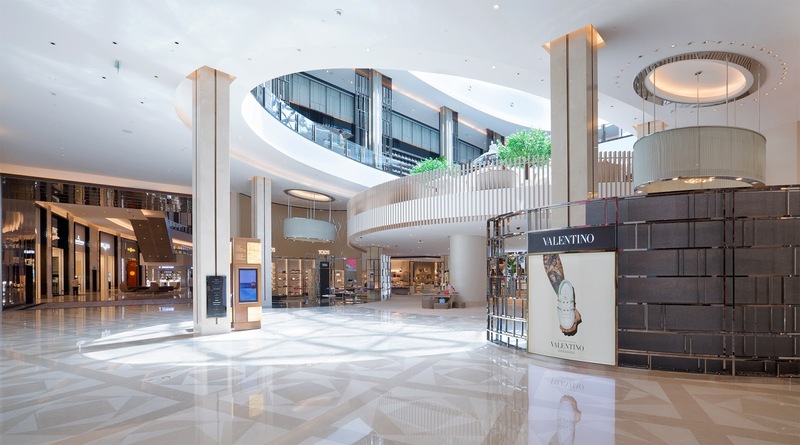 City of Dreams’ retail space, managed by T Galleria by DFS, is expanding throughout 2016 to three times its current size introducing new fashion and accessories, beauty and fragrance and watches and jewelry brands in an eye-catching lifestyle shopping experience in the heart of Macau. Photo courtesy of DFS Group. “City of Dreams has always been at the forefront of shaping Macau into a world center of avant-garde entertainment, delivering world-class leisure and entertainment offerings to the region. Today, we are pleased to announce the expansion plan of the retail precinct of City of Dreams, which will bring to our flagship property many firsts in town. Through our partnership with DFS Group, City of Dreams features the largest collection of luxury brands in Cotai and creates an exciting luxury shopping scene for all aspirational, sophisticated and cosmopolitan leisure seekers in the region,” said Lawrence Ho, Chairman and Chief Executive Officer of Melco Crown Entertainment Limited. T Galleria by DFS, City of Dreams marks a new approach to the T Galleria customer experience, introducing DFS Group’s first-ever shoe salon and as well as a multi-brand lifestyle shopping area dedicated to men’s fashion and grooming. Photo courtesy of DFS Group. “Since entering the market in 2008, Macau has and continues to be an incredibly important destination for our customers and for DFS, which is why we are thrilled to unveil a retail concept here that is a first for DFS in terms of its scale, audacity and innovation. It is also a first for Macau in terms of providing a curated and modern product selection across the major luxury categories, targeting new and experienced travelers alike,” Philippe Schaus, DFS Group’s Chairman and CEO said. 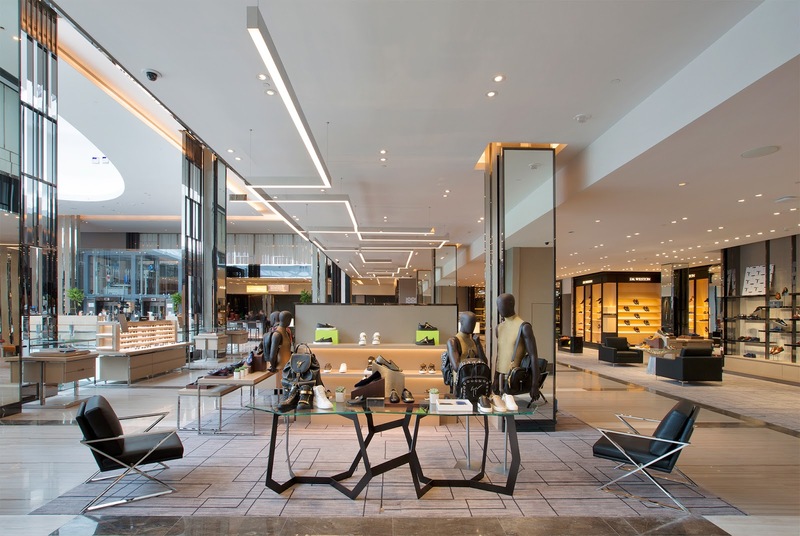 Offering over 50 men’s and women’s shoe brands across two floors, highlighted by exclusive-to-Macau brands such as Aquazzura and Rupert Sanderson, the brand new shoe hall at T Galleria by DFS, City of Dreams will be the largest shoe salon in Hong Kong and Macau and a destination unto itself. Photo courtesy of DFS Group. Opening in phases between June and December, City of Dreams’ T Galleria by DFS will boast the largest collection of luxury brands in Cotai. In addition to beauty and fragrances, fashion and accessories, and watches and jewelry brands, the expanded retail space will introduce T Galleria’s signature customer services exclusively to City of Dreams’ customers, including the first-ever shoe salon to be opened in the third quarter as well as a multi-brand lifestyle shopping area dedicated to men’s fashion and grooming. Offering over 50 men’s and women’s shoe brands across two floors, highlighted by exclusive-to-Macau brands such as Aquazzura and Rupert Sanderson, the new shoe hall will be the largest shoe salon in Hong Kong and Macau and a destination unto itself. The expanded beauty and fragrance section opens this month. When fully expanded, the 23,000 square feet of space will comprise two wings and feature nearly 70 beauty and fragrance brands, making it the largest beauty hall in Southern China. Highlights include popular Korean brands Sulwhasoo, Laneige and HERA. For fashion-lovers, the experience is elevated with the June opening of 31 new fashion and accessories brands, including Louis Vuitton, Dior, Prada, Miu Miu and Fendi. And catering to male customers for the first time at any T Galleria by DFS store, there will be a dedicated multi-branded, lifestyle area that mixes ready-to-wear, accessories, shoes, watches and grooming all in one space. 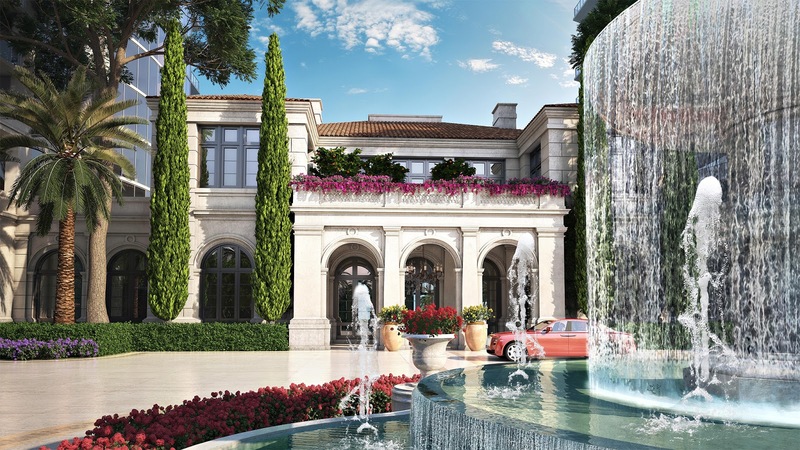 By the end of this year, the phased opening will culminate in a significantly wider jewelry offering, bringing key luxury jewelry brands Tiffany & Co. and Van Cleef & Arpels to City of Dreams as well as new watches boutiques from Audemars Piguet and Vacheron Constantin. To ensure a uniquely disruptive and ultimately fulfilling experience for all, exclusive dining outlets for high tea and social gatherings will also be integrated into the environment. Melco Crown Entertainment, with its American depositary shares listed on the NASDAQ Global Select Market, is a developer, owner and operator of casino gaming and entertainment casino resort facilities in Asia. Melco Crown Entertainment currently operates Altira Macau (www.altiramacau.com), a casino hotel located at Taipa, Macau and City of Dreams (www.cityofdreamsmacau.com), an integrated urban casino resort located in Cotai, Macau. Melco Crown Entertainment’s business also includes the Mocha Clubs (www.mochaclubs.com), which comprise the largest non-casino based operations of electronic gaming machines in Macau. The Company also majority owns and operates Studio City (www.studiocity-macau.com), a cinematically-themed integrated entertainment, retail and gaming resort in Cotai, Macau. In the Philippines, Melco Crown (Philippines) Resorts Corporation’s subsidiary, MCE Leisure (Philippines) Corporation, currently operates and manages City of Dreams Manila (www.cityofdreams.com.ph), a casino, hotel, retail and entertainment integrated resort in the Entertainment City complex in Manila. For more information about Melco Crown Entertainment, please visit www.melco-crown.com. Melco Crown Entertainment is strongly supported by its single largest shareholder, Melco International Development Limited and its other major shareholder, Crown Resorts Limited. Melco is a listed company on the Main Board of The Stock Exchange of Hong Kong Limited and is substantially owned and led by Mr. Lawrence Ho, who is the Chairman, Executive Director and Chief Executive Officer of Melco Crown Entertainment. Crown is a top-100 company listed on the Australian Securities Exchange and led by Mr. James Packer, who is the Deputy Chairman and a Non-executive Director of Melco Crown Entertainment. City of Dreams is developed by Melco Crown Entertainment Limited, an entertainment company listed on the NASDAQ Global Select Market. It is an integrated entertainment resort that has established itself as a premier leisure and entertainment destination in Macau. Located in the heart of Cotai in Macau, it combines electrifying entertainment, a diverse array of accommodation, regional and international dining, designer brand shopping and a spacious and contemporary casino. The resort brings together a collection of world-renowned brands including Crown, Grand Hyatt, Hard Rock and Dragone to create an exceptional entertainment experience that aims to appeal to a broad spectrum of visitors from around Asia and the world. City of Dreams features a 420,000-square-foot casino with approximately 400 gaming tables and approximately 1,300 gaming machines; over 20 restaurants and bars; an impressive array of some of the world’s most sought-after retail brands; ‘The House of Dancing Water’, the world’s largest water-based extravaganza showcased in the purpose-built Dancing Water Theater, represents the live entertainment centerpiece of City of Dreams’ overall leisure and entertainment offering. A comprehensive range of accommodation options at City of Dreams include Crown Towers offering approximately 300 guest rooms, Hard Rock Hotel offering approximately 300 guest rooms and Grand Hyatt Macau offering approximately 800 guest rooms. 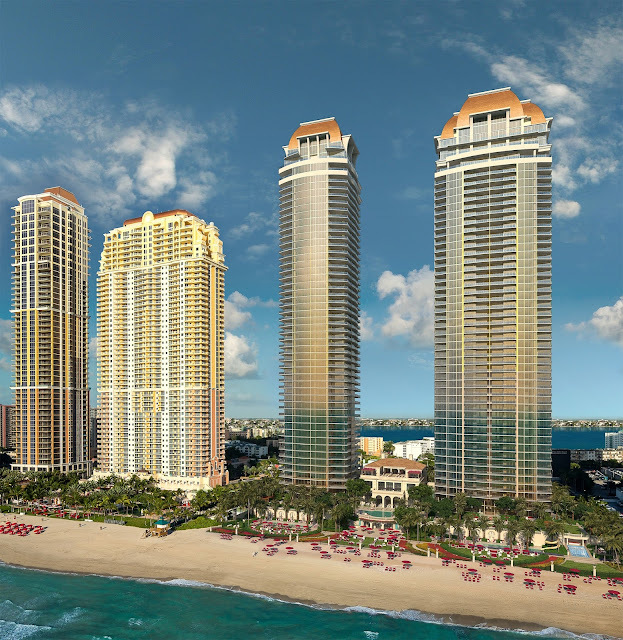 A second planned phase of development at City of Dreams will feature an apartment hotel consisting of approximately 800 units. For more information please visit: www.cityofdreamsmacau.com. For The House of Dancing Water information, please visit www.thehouseofdancingwater.com. DFS Group is the world’s leading luxury travel retailer. Established in Hong Kong in 1960, DFS Group continues to be a pioneer in global luxury travel retail, offering its customers a carefully curated selection of exceptional products from over 700 of the most desired brands through 420 boutiques on three continents. Its network consists of duty free stores located in 17 major global airports and 17 downtown Galleria locations, as well as affiliate and resort locations. The Group is privately held and majority owned by the world’s largest luxury conglomerate Moët Hennessy Louis Vuitton (LVMH), alongside DFS co-founder and shareholder Robert Miller. DFS Group employs over 9,000 people focused on creating inspiring retail experiences for its customers. In 2015, over 164 million travelers visited DFS stores. DFS is headquartered in Hong Kong and has offices in Beijing, Chengdu, Hawaii, Los Angeles, Paris, Sao Paulo, Shenyang, Shanghai, Singapore and Tokyo. 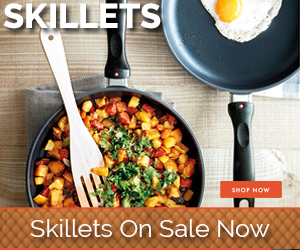 For more information, please visit www.dfsgroup.com. T Galleria by DFS, formerly known as DFS Galleria, is the ultimate evolution of the original travel retail concept pioneered by DFS Group. The first downtown store opened in 1968 in Hong Kong, followed shortly thereafter by Honolulu and eventually expanding to fourteen locations all over the world. Today, T Galleria by DFS has a presence in the United States, as well as across Asia, Australasia and the South Pacific regions. Linked to the notion of travel through the use of T for the Traveler, the brand stands for what customers have come to expect: an expertly curated assortment of the world’s preferred luxury brands, exceptional retail environments, highly personalized services and unique experiences tailored to their specific needs as travelers. T Galleria by DFS enables travelers to realize their individual style, one journey at a time.